The HIFF 2018 festival passes and catalogues are available for purchase Friday, September 7th; single ticket sales begin Thursday, September 13th at 10:00 AM. Tickets 40 € (incl. film and masterclass), festival pass or free vouchers not valid for this event. Please note that festival passes and gift vouchers are not valid for this screening. Film at cinema Kino Engel, dinner at restaurant Chapter. Tickets 80 € (incl. film and dinner, drinks not included). Normal price tickets for this screening are also available, without dinner. Tickets 27 €, please note that festival passes and gift vouchers are not valid for this screening. Tickets 13 €, please note that festival passes and gift vouchers are not valid for this screening. Advance ticket sales and reservations begin September 13th at 10:00 AM. Tickets are sold online at hiff.fi, and at the Festival Centre. Reserved tickets should be claimed by September 17th online at hiff.fi or at the Festival Centre. During the festival, tickets are available for purchase online at hiff.fi, and from all festival cinemas. Please note that the tickets available for purchase at Kino Tapiola are limited to their own screenings. Festival catalogues can be purchased at Akateeminen Kirjakauppa, Rosebud Books and Filmihullu. A handling fee of 0,80 € is charged per online purchase. During the festival (September 20th–30th), the Festival Centre is open daily from 10:00 AM to 9:00 PM. HIFF 2018 festival passes and catalogues are available for purchase Friday, September 7th. The pass includes 11 single tickets and the festival catalogue. Passes can be purchased in advance online at hiff.fi, and from Kino Engel. During the festival, passes and catalogues are available for purchase online at hiff.fi, and at festival cinemas (excluding Kino Tapiola). Please note that individual screening tickets must be claimed in advance by using the code included on the festival pass. Use the code to reserve tickets online at hiff.fi or at the festival cinemas (excluding Kino Tapiola). Sold-out and special screenings may not apply. A single festival pass may be used by multiple persons to reserve tickets until all 11 tickets have been claimed. The printed catalogue (included in an online purchase) is available for pickup from Kino Engel starting September 7th, or from the Festival Centre starting September 13th. The official festival t-shirts and bags can be purchased from the Festival Centre. Online tickets can be purchased through Finnish online bank transfers, or with most debit and credit cards. A handling fee of 0,80 € is charged per online purchase. When buying tickets from a festival box office: cash, most debit and credit cards, ApplePay and culture vouchers are accepted. Buy a festival pass or receive a complimentary ticket? The festival pass includes a code required to claim the single tickets to the screenings of your choice. This can be done online or at the festival box offices. For Kinopalatsi and Maxim, wheelchair seats are available for purchase online or at the festival box office. Free tickets for personal assistants can be accessed by emailing liput@hiff.fi, or by visiting the box office in person. Please note that if a screening is sold-out, accommodation for personal assistants is not guaranteed. During the festival, requests for personal assistant tickets may go unanswered for same-day screenings; please make reservations in advance. 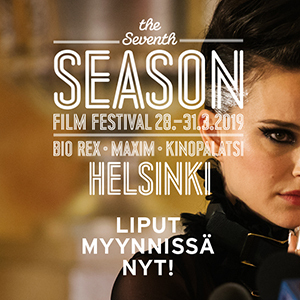 For other accessible venues, tickets may be purchased online at hiff.fi, at the Festival Centre and at every festival cinema (excluding Kino Tapiola). A personal assistant will be able to enter the screening via the corresponding ticket. Tickets to screenings do not have assigned seat numbers. Doors open 5–10 minutes in advance of each screening. Trailers and/or commercials are rarely shown; please take your seat in a timely fashion. A select few tickets to sold-out screenings may become available 20 minutes before the screening. Films do have age limits; this information can be found on the pages for individual films. Helsinki International Film Festival reserves the right to possible changes. Information about changes in the programme will be announced on the website. Missing a PDF ticket? Please check spam folders before contacting customer service.